Established in London in 2010, Opilio Recruitment are the go-to digital recruitment agency for global brands, tech start-ups and everything in between. They have some incredible connections within the industry, with clients including Disney, Universal Music and the BBC. Over the years, their business has steadily grown, with their team now spread across offices in London, Birmingham and Manchester. As a result, they needed a revamp of their current marketing collateral both online and offline. 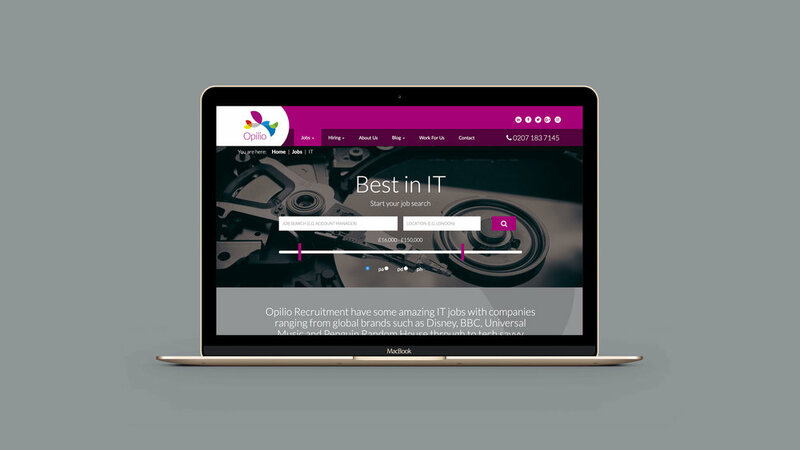 We were initially approached by Opilio to design a new website and to liaise with their in-house web developer during the build. However, after our initial conversation, we realised that there was a lot more work to be done behind the scenes to make this a success. Opilio's brand has been in existence for over five years and is well established in the recruitment industry. As the business has grown, however, their services are starting to expand beyond traditional recruitment. They are currently offering an 'executive' service that specifically targets roles at CEO/COO level, and they are also looking to expand into other areas. Their previous logo used the word 'Recruitment' underneath the wordmark, which wasn't legible in the digital space. Working in consultation with the client, we refined the logo by dropping 'Recruitment', which gave the logo a better balance and generated greater impact on all touch points. We also introduced a new typeface, which can be used in both print and digital applications, as well as a new set of icons to represent the divisions that the business recruits for. Part of our work included introducing a new proposition statement. Opilio's USP has always been their unparalleled experience in the digital recruitment industry. They aspire to be the first call for all of their clients and candidates because they can be trusted to deliver. 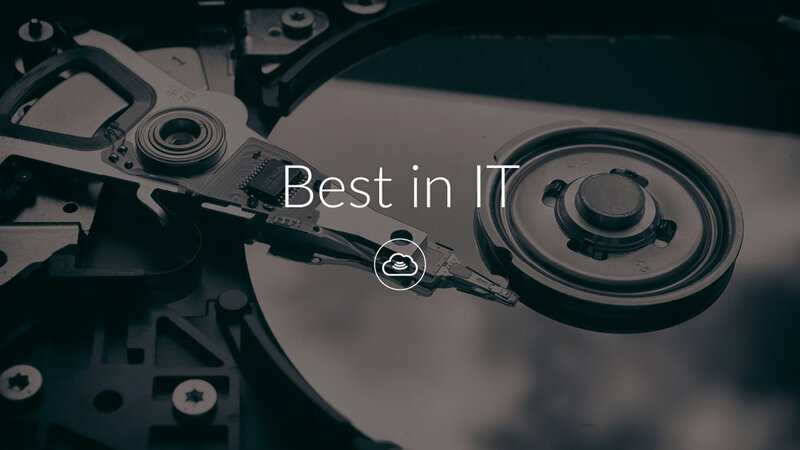 We introduced the 'Best in...' tagline, which can be adapted to all of their divisions as a statement of their confidence that they are the best at what they do. As part of the new visual language, we worked with the client to introduce a new photography style. It became clear to us within the first few minutes of meeting the company's Managing Director, Sheba Karamat, that the business is passionate about people. They are the driving force behind everything that Opilio do, and this includes both the candidates that are placed into new roles, and the dedicated staff in the company's offices. One of the things that Opilio's previous collateral did well was to reflect the range of different personalities in the business through the use of everyday objects. We decided to take this to the next level by introducing photography that was representative of the people that they recruit and their working environments. We worked in-house with the team during the design phase of the website. After doing extensive research of the recruitment sector, including Opilio's direct competitors, we wanted to introduce a website that would make them stand out in the marketplace. One of the main criticisms of the previous site was that the job search function wasn't very obvious at first glance. We took this on board and ensured that 'Start your search' is front and centre on the new website. A neat function that we introduced during the development phase was to make the job search stick to the header as you scrolled through the site. That way, no matter where you are, you can perform a 'quick search' for your perfect role, with the option to refine the parameters from the results page. The main driver behind the design was colour. Unlike other recruiters, Opilio's brand uses a wide-ranging colour spectrum, which signifies the range of sectors that the business works in. We decided from the beginning that we should use these colours more prominently in the new design, ultimately using them to visually represent the divisions. Throughout their existing collateral, they used blue as their corporate colour. 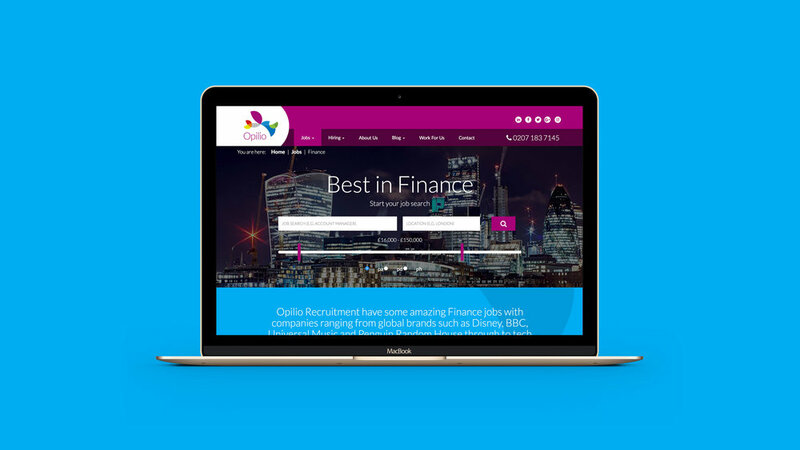 As we were going to develop two websites running concurrently, we decided that the blue would work better for the 'Executive' arm of the business. As a result, we decided to use the purple as the main colour for 'Recruitment' going forward. The result is a stylish and vibrant recruitment site that combines large parallax imagery, vibrant colours and crisp icons to give a clear and straightforward user experience, no matter what device it is viewed on. 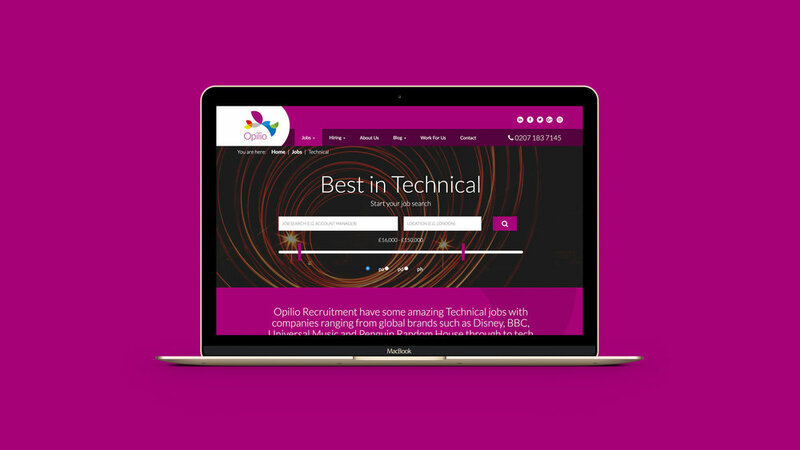 As well as a new website, we also worked on new digital recruitment and testimonial brochures that reflected the work we have done on the refreshed brand. These brochures will be sent out to both new and existing clients as support literature with upcoming roles. We also rolled out a wide range of collateral both online and offline including letterheads, business cards, CV and PowerPoint templates, email campaigns and social media templates. We are also supporting them in writing content for blogs, corporate literature, social media and the new website. "As a digital recruitment we are always busy finding our clients the best digital designers / marketing to support their business. We had neglected our own site and knew we need a fresh redesign. Everyday we talk to and meet people in the digital world and so when it came to selecting a digital agency for our new website we were very picky! We knew all the ins and outs and so knew we needed someone who was as passionate as us to really get our brand and values and services across to users. 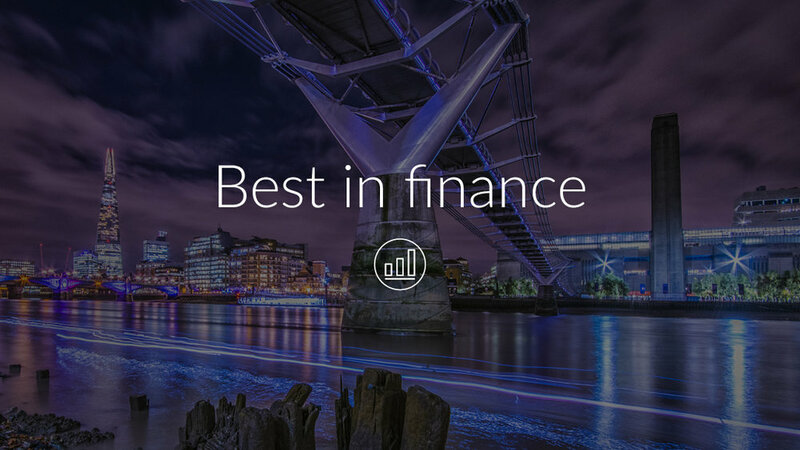 "Selecting David and his team was easy, they were the most prepared, had done the most research into our sector and was passionate as winning us as a client. I think they were more excited than us about our new undertaking. The team worked in-house with our development team to produce an outstanding result, one we are certainly proud of. No job was too big or too small and David and his team went to all lengths to ensure we got exactly want we wanted in terms of the site. They were committed and diligent and were just a breath of fresh air. "Honestly, I can safely say that in 20 years of running businesses I have never come across a team that quickly understand the needs of the clients and to only meet them but surpass them. They work quickly and stuck to the original brief and budget. Thank you to David and his team for a job well done. We have been so impressed we have actually retained their services indefinitely. "Amazing result! And if I let you into a little secret, its actually better than I thought it could be!"